The Honors Program provides a framework that helps students develop as scholars, lifelong learners and contributing members of their communities. To support this mission we offer special Honors housing, a community for talented students who take learning seriously, respect one another and like to have fun. Honors Fellows may concentrate their studies in any major. In their first two years, Honors Fellows take special liberal arts seminars with dedicated, top-notch faculty. Courses are designed to provide intellectual growth and challenge within a supportive small-class environment. Each Honors Fellow completes an honors thesis—a substantial, two-year research project conducted in their major with a faculty mentor. The thesis may be critical, experimental, applied or creative in nature and is supported by individualized mentoring and a $1000 research grant. 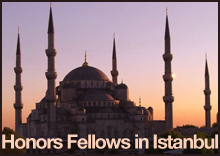 Honors Fellows have been awarded highly competitive national fellowships such as Fulbright, Truman and Udall awards. After graduation many are accepted into nationally acclaimed graduate programs and accept prestigious jobs to launch their professional careers. 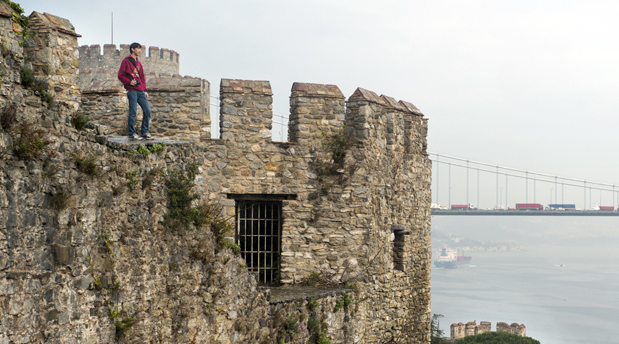 Honors Fellows can apply to study in Istanbul in their first year with the Honors Program, or study abroad during their four years at Elon with the help of a $1000 study abroad grant. 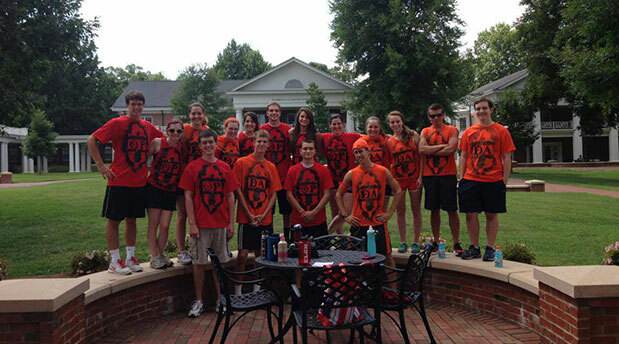 The Honors Program at Elon University is a community of exceptional students from all majors. It offers all the best features of an Elon education: challenging courses with strong faculty mentors, exciting research opportunities, exposure to international perspectives through global study, and a community of faculty and student inquirers who want to be fully engaged in a rewarding academic experience. We invite current students, prospective students and faculty to explore our Web site to learn more about our mission, curriculum, people and opportunities. Click here for a summary of the program or explore the tabs on the left for more information. Calendar for 2017-18: Here is the draft of the calendar for the 2017-2018 school year. Classroom locations cannot be confirmed until the first day of class for each semester so please check back after that date for a final version. Please go ahead and add these dates to your calendar. Check out our most recent Newsletter below, as well as past editions for a brief summary of some of the changes and developments of the Honors Program. Thomas Barnett was an Honors Fellow and a Presidential Scholar in the Elon University Class of 2007. His parents created the award in his memory, with $1,000 to be awarded annually to one Elon undergraduate who successfully completes a high-quality project on a topic related to improving the university experience of students with disabilities. For more information including application and deadlines, click here. Elon Honors students are invited to participate in the 16th Annual Undergraduate Honors Symposium on February 26, 2016 hosted by UNC-Greensboro’s Lloyd International Honors College. This award is given annually by the Historical Society of North Carolina for the best research paper on North Carolina history by an undergraduate student from an accredited senior North Carolina college or university during the academic year June 1, 2014 to May 31, 2015. Rensselaer Polytechnic Institute in collaboration with the National Science Foundation (NSF) invites students to participate in the 2014 Louis Stokes Alliance for Minority Participation (LSAMP) Research Experience.